I usually avoid controversial issues by choice in this blog. But just sometimes... There is much debate in the press and political circles in Japan at present in relation to amending the pacifistic constitution foisted on the country at the end of the war by the MacArthur administration. The concern is that its limitations include the restriction to protect itself or its allies in the event of war and given the changes brought on by the modern world, this is seen as a critical weakness. But this is only half the story. A worthy objective indeed. 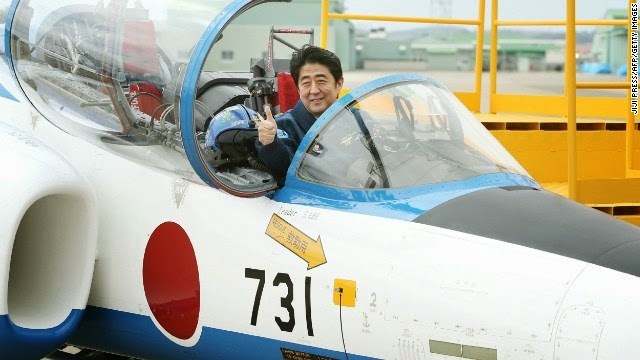 The only problem is that Japan currently has one of the largest military budgets in the world and, for example, whereas the UK has five destroyer class warships, Japan already has twenty six. An outstanding example of the Barbara Streisand effect if ever there was one; the more you try to hide something, the more that people will look. The government could have its cake and eat it by adopting change and being open about it. Currently though it's arguing for an empty plate. Make the chance, be open and honest about it and less tidy up this small $50bn constitutional breach once and for all.